The Eagle Athletic Foundation (EAF) is a 501(c)3 organization started by former student athletes coached & mentored by the late dreamweaver Coach Robert "Stonewall" Jackson. 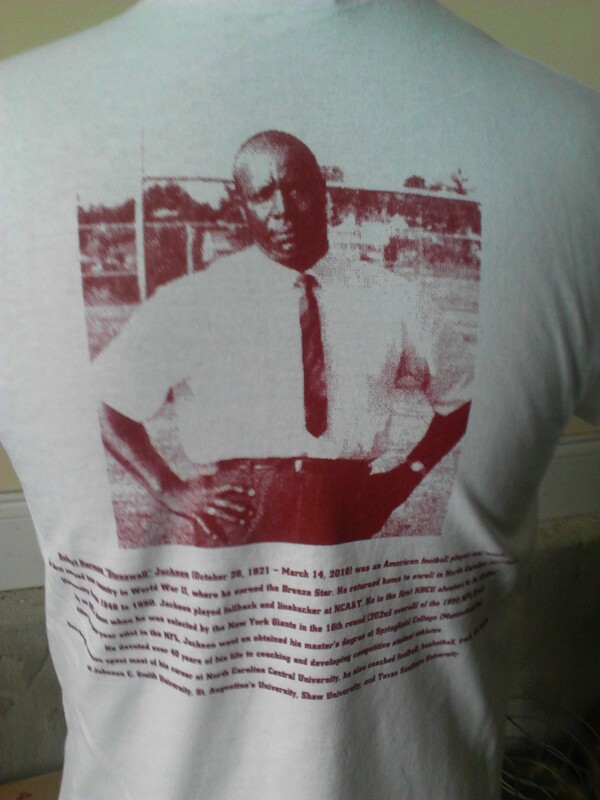 Jackson spent more than 30 years as an educator and coach at NCCU. Coach Jackson's knowledge and experience enabled his student athletes to learn and develop while improving performance on the field. Additionally, his off-line support made such a significant impact in their development and thinking that the founders wanted to honor him and to continue the legacy that coaching and mentoring builds. The result of which is the EAF, an organization that serves a vehicle to give financial support to the NCCU's athletic program both today and in the future. 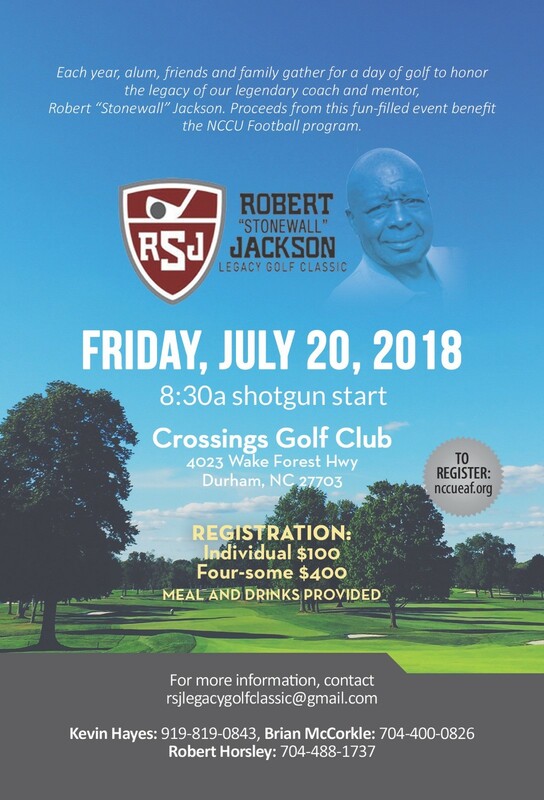 Established in 2007, the EAF held its first fund raising initiative in February 2008 and currently hosts the annual Robert 'Stonewall' Jackson Classic! Robert "Stonewall" Jackson, a North Carolina Central University Hall of Game coach and National Football League trailblazer, passed away in Raleigh, NC on March 14, 2010 at the age of 88. 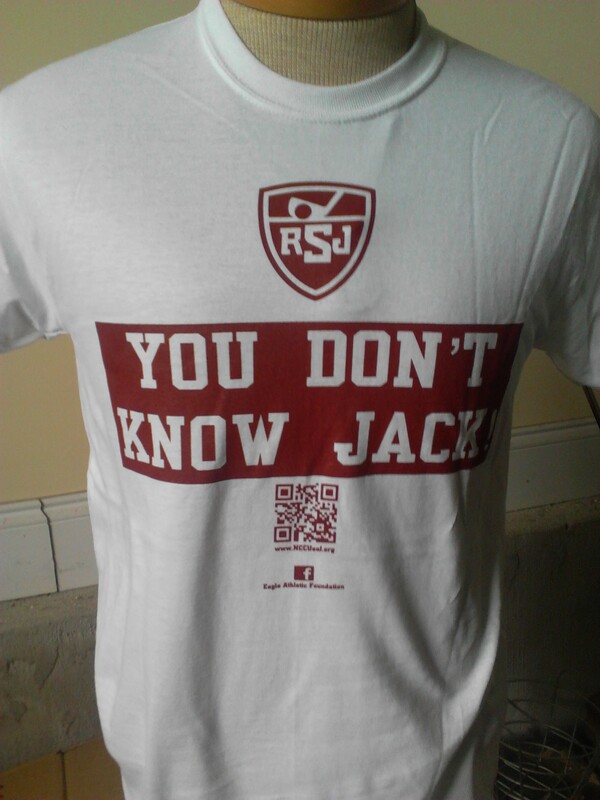 Jackson spent more than 30 years as an educator and coach at NCCU. Besides working as an assistant football coach and teacher of physical education theory, athletic training, weight training, individual and team sports, and equipment management courses from 1968 until 1999, he also served as the athletic trainer for many years and was even the Eagles' head football coach for two games in 1977. He was inducted itno the NCCU Athletic Hall of Fame in 1997. In October 2009, as part of the University's 100th anniversary celebration, Jackson was honored among the Centennial 100 Sports Legends as one of the top 10 coaches in NCCU history. In 1950, Jackson became the first African-American from a historically black college drafted to play in the NFL when he was selected by the New York Giants. As a rookie fullback, he rushed for 113 yards and two touchdowns on 12 carries for an average of 9.4 yards per run for the 10-2 Giants.